Sister Maureen Okeke, a Sister of Notre Dame from Nigeria, came to Liverpool in 2015 and spent a year at Liverpool Hope University from where she graduated with a Masters of Arts in Education in Action and Education Leadership and Management. 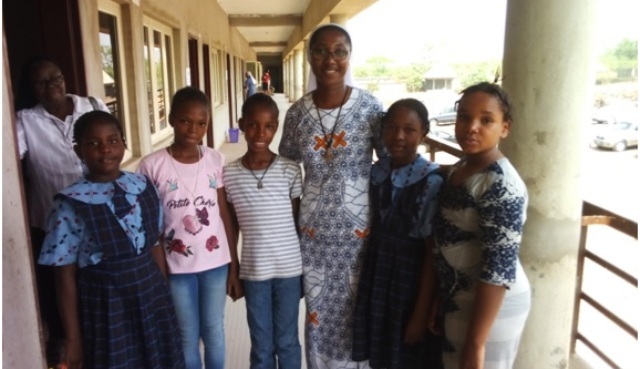 In November 2016, Sister Maureen returned to Nigeria, to take up the post of Head Teacher at a new school, Notre Dame Girls' Academy in Abuja due to open in September 2017. 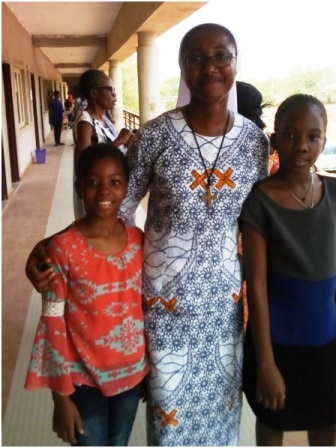 Maureen is pictured here with two prospective students who were attending one of the entrance exams in April. 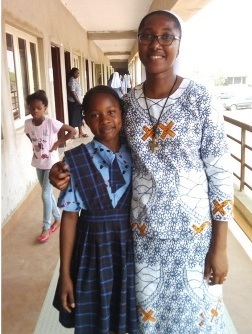 While Sister Maureen was in Liverpool, she took the opportunity to visit Notre Dame schools in Liverpool and London where she gained a great deal of experience to take back with her to Nigeria. 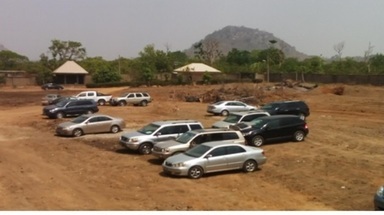 The future carpark of the Academy! 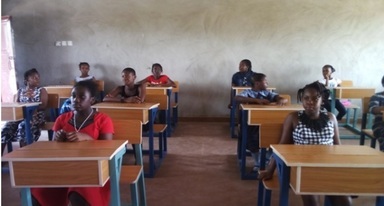 "In choosing the secondary school for your daughter we know that you want to have the best possible education in a happy, safe and disciplined environment. 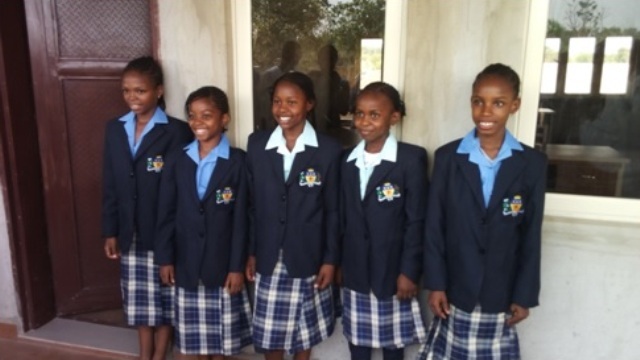 That is why we introduce to you Notre Dame Girls' Academy in Abuja managed by the Sisters of Notre Dame with emphasis on academic and non-academic education. Notre Dame Girls' Academy is committed to the health and development of each student's personal, social, moral, spiritual and mental wellbeing as well as the support and nurture and talent of every student." This is what Sister Maureen hopes to achieve and we are sure she will succeed. We wish her every blessing in this undertaking. "How good is our good God"